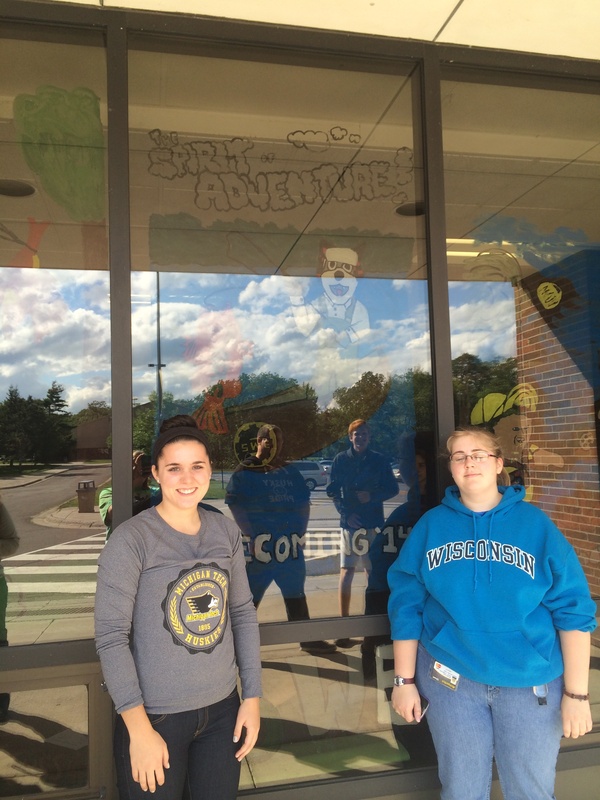 SWE-sters all had a great time at Homecoming this year! Our section’s big Homecoming events was our first 5k, “SWEat Homecoming Spirit Sprint”. First we would like to thank Janelle Rupkalvis for all of her hard work coordinating this new event. Also, thank you to all the amazing volunteers who were up nice and early that Saturday morning to help the race go smoothly. This was a huge success and everyone had a great time. We hope to make this an annual event and get an even larger turnout. There were many people in attendance including members of the track and cross country teams, SWE members, other Tech students, and even members of the community. Thanks to everyone who participated and those who donated some extra. We raised money for our section and over $700 for The Barbara Kettle Gundlach Shelter Home. Congratulations to the top 3 men and women! 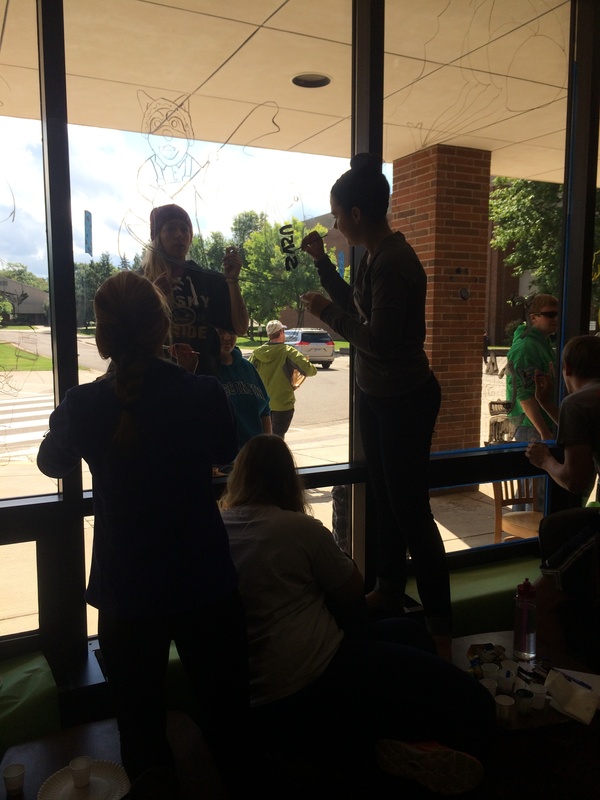 We also participated in our usual homecoming events…window painting at the SDC and cardboard boat races across the Portage. 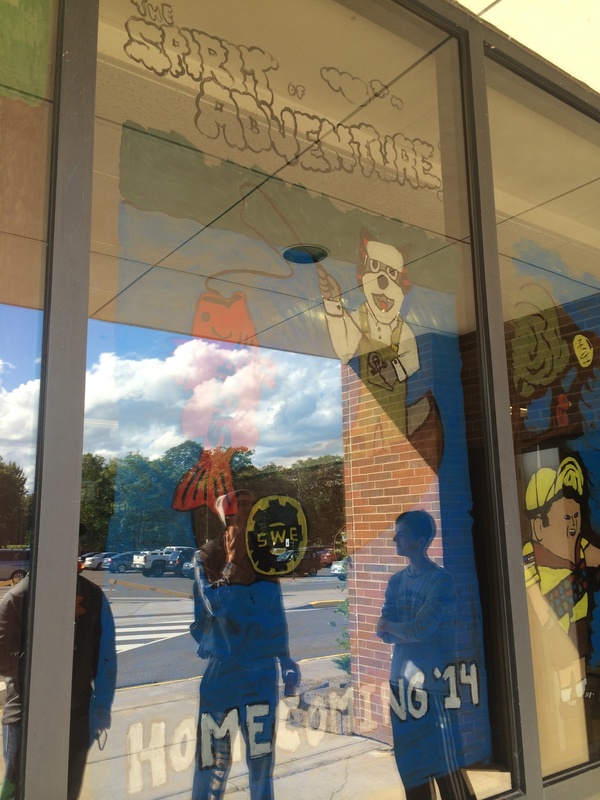 Our window painting turned out great…check out the pictures below. Our cardboard boat wasn’t so successful and a lot of people ended up in the chilly portage, but they all had great spirit and a great time! Great turnout and a lot of school spirit! Keep it up SWE-sters! Good luck at the Career Fair, land some jobs, and then that next weekend be ready to relax and press some fresh cider at our advisor, Gretchen Hein’s house!